Should you bribe your kids to get good grades? Imagine you’re back in school and it’s report card day. 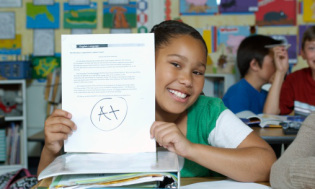 Would your grades have been higher if you were promised $5 for every A or a video game or manicure/pedicure for earning top grades? With the new school year upon us, some kids are digging deep to find the motivation from within, while others may be aiming for the shiny brass ring promised by Mom and Dad. “I admit: It would be best if all children (and adults) could be motivated by an innate drive for high achievement and a thirst for knowledge,” writes Demetria Gallegos, community editor for WSJ.com. “But I also believe that it's easier to accomplish good grades after experiencing them,” she wrote. “Fake it until you make it. The excitement and adrenaline of success are addictive, and if you get to experience it, whatever the motivation, you're inclined to seek it again." But her husband, John, calls the arrangement a “bad bargain,” and says, “They must value education. Giving them bribes is corrupting that value." 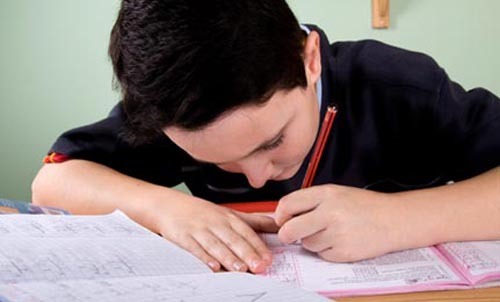 When it comes to most students, educational psychologist and TODAY contributor Michele Borba agrees with John, who sees the rewards as a short-term solution that will backfire. “Most of the research says it doesn’t work,” Borba says. “It has short-term gain but long-term pain. “What works best is inside control and inside motivation and knowing, ‘I can do it without the reward, the sticker or the dollar,’” Borba says, adding that kids could grow to want more to stay motivated, like "instead of a dollar he wants a Lexus." Still, she says, rewards may help kids who are having trouble in school. Though generations of parents have offered rewards, Borba says there’s been a spike in the last decade in the number of parents and some schools offering money and rewards for high grades, as economists continue to study the idea. “It’s been going on forever and there’s still a split,” Borba says. Some moms had no issue with a financial incentive, likening it to the adult work world. Other posters say they never offered a reward up front. Borba says praising the time and effort kids are putting into their schoolwork can help them find their inner-push to succeed. “Praise by far, research says, is the best way to boost learning success,” Borba says.